You’ve been working out consistently for a while now, but nothing seems to be changing. The scale still reads that same obnoxious number that disgusts you. Your clothes don’t feel any looser, in fact, your pants seem to be even harder to button than before you started working out! Like many others, you’re showing up to the gym and going through all the necessary motions. Classes, cardio, some strength training mixed in. Mentally you feel better, but why isn’t your body changing? When it comes to planning for the result you want, there’s an important part of the puzzle that you need to consider. Are you following a training program or are you just doing workouts? Want to experience the difference and get coaching specific to you? Click here and we’ll schedule a complimentary training session for you! 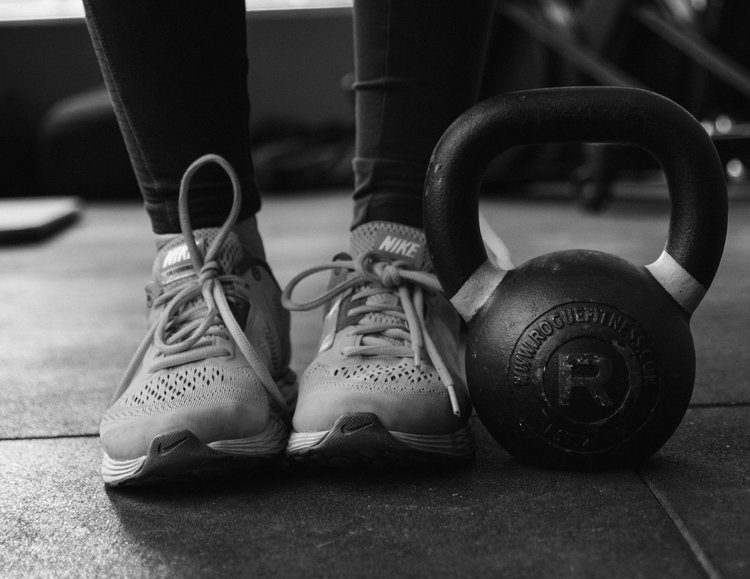 When you’re just doing random workouts (and believe me, I’ve done it…a lot) it’s extremely hard to hit your goal, because although you feel like your sweating and burning calories, there’s no real progression planned or tracking involved. This leads to a lot of random results unless you’re a total beginner, which in that case you will see some changes over the first few weeks, but even then you will plateau eventually. Planning your training program in phases is an effective way to avoid those randomized results. As good as we think we are at multitasking, we work best focusing on one thing at a time. For example, if we plan on only getting stronger for 4 weeks, we can actually get stronger, instead of trying to get stronger, burn fat, tone our arms…you get the idea. We spread ourselves to thin and get sub-par results by focusing on too many things at one time. Get good at one thing, then switch gears. Get good at that, then switch gears again. Month 1 the focus is to build endurance. Once we have that work capacity built, we can move to Month 2 and build more muscle. After you’ve added more muscle, month 3 is focused on strength to make that new muscle stronger. Wash, rinse, repeat. You should keep most all of the movement patterns the same. Here’s what will happen: you’ll make continued progress over all three months by putting some structure into your workouts that switches phases each month. Too often I see the same guy on the bench press for 3 years still pressing 135 for sets of 10 reps and to no surprise, he looks exactly the same and hasn’t made any progress. Don’t be him. Switch Gears – *And this is the most important part! Follow your program for each phase and switch gears. Hopefully, this helps you add some structure to your random workout routine! For more guidance specific to you, and to experience the difference first hand, fill this form and we’ll call you to schedule a complimentary training session!